This double-featured miniature machine will save you hours of tedious sheet metal fabrication and finishing. The upper section is equipped with a sharp 7-1/2 inch wide shear that smoothly cuts plastic and circuit board stock up to 1/16 inch thick; soft copper, brass, aluminum and tinplate sheet up to .031 inch thick. 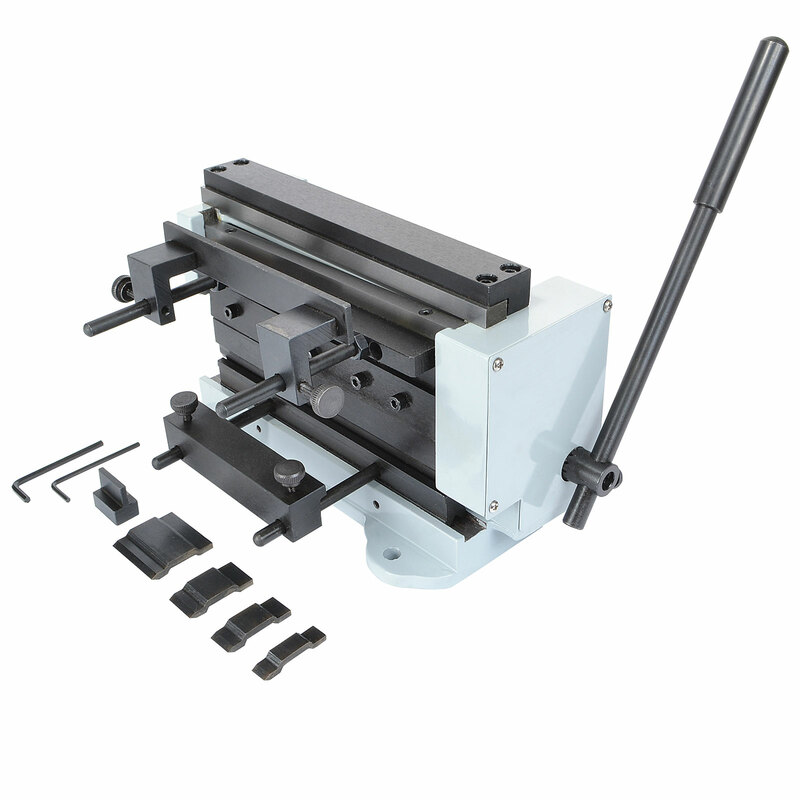 The lower section is a powerful bending brake that bends sheet metal up to 90 degrees and 7-1/2 inches wide. The integral gearbox triples the torque you apply to the hand lever so less force is needed to get the job done. Includes six bending dies of various widths for tray and pan forming operations, and adjustable stops for making duplicate parts. Shear blade has four pre-sharpened edges for long life. Overall dimensions: 11 inches wide x 6 inches deep x 13 inches high over handle. Approx. weight 30 lbs.